Gemini Limo Service is located in Maryland Virginia very close to Washington DC, at Cherry Hill Rd. The Lansdowne Resort is situated near Gemini Limo Service which is the best resort in Virginia, here you can enjoy more than expectations, the people of Maryland and other cities hires the Gemini Limo Service to have some explosive of fun before going to the Resort. The Gemini Limo Service provides the transportation you need at prices, competitive and affordable and according to your budget. Our limousine service drivers are fully professional, waiting to use their knowledge of the Gemini Limo Service, Washington DC and other surrounding areas to make sure you have the best, most enjoyable limousine experience when you are in the national capital and its environs. We have a very large pool of vehicles according to your need, such as stretch limousines, limousine buses, limousine vans, SUVs or luxurious sedan cars in are at your service for anytime by Gemini Limo Service. For a night out, wedding, proms Night, birthday parties, airport transportation or any kind of occasion you need a limo service, there is no better option by the experience of a town car, sedan or stretch limousine as Gemini Limo Service. With the above occasions services you can celebrate your night with style comfort and elegance, hire a Gemini Limo Service and having fun on board. Wherever you go in Virginia, Maryland or Washington DC area, make sure you book your ground transportation with Gemini Limo. It will be very reliable and luxurious for your transportation and the chauffeur will provide you complete services including the driving which will not be easy if you visit a new place. In Washington DC and Maryland area, what things are attracted to you like dining or night out of this beautiful part of the country, you will find that you have almost too many options for things to do. Lansdowne Resort, Washington DC, Maryland and Virginia all have a rich culture and diverse dining nightlife. Take advantages of our Gemini Limo Services to experience for nightlife in the Maryland and Washington area in both luxury and comfort. 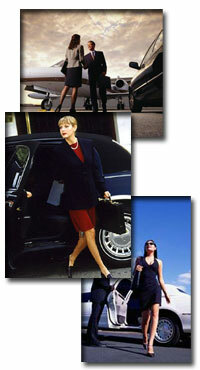 Take a look of our affordable packages for limousine service and book your comfortable limo for your outstanding trip. At Gemini Limo Service, it is our goal to provide our clients with an exceptional chauffeured service each and every time. Gemini Limo Service’s commitment to an excellent car service operation is driven by two simple standards: maintaining a lineup of the latest model luxury vehicles and selecting experienced and professional chauffeurs to manage our fleets of luxury vehicles. Limo Service Factors for Concerning! There are several circumstances for taking limo service. They are mostly rented during special occasion like proms, weddings, business travel or when you attend extra-special parties. However, you need to cheap-in for Limo rental services as the costs can be quite high. The number of hours is also limited when you rent a limousine. Of course, the prices and offers vary depending on the car company that you rented your limo from. This article talks about the costs of limousine rental services. Find out more about its price by reading the sections below. There are lots of factors for the costing of limousine service. The time of the year at which you are going to rent it may affect the price. You can expect peak seasons to have higher rates for limo prices and you can anticipate for much lower costs during the non-peak days. 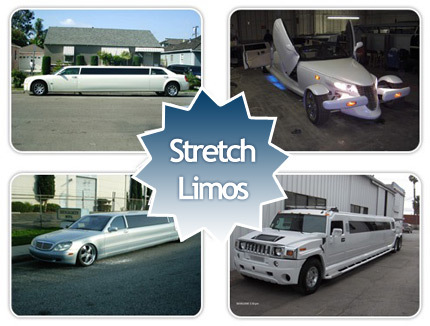 The type of limo may also vary the costs of your limo rental. If you are about to rent a brand new limousine, you can only expect for much higher prices. The better the quality, the higher the price of the limousine. The time of the week at which you’re going to rent a limo may also affect the price. Usually, Sundays and Saturdays are subject to higher prices. On the other hand, weekdays have lower prices for limo rental services. The area which you live in may also affect the price of the limousine rental. If you live in grand cities like New York or Paris, the prices for car rentals could be quite high. But if you rent from the countryside, you can get cheaper rates for limousine rentals. The distance traveled for the rental service may also vary the price. If you are going to tour a whole city, then you can expect for higher prices. The type of service may change the costs of the limousine rental service too. More services from the rental shop may mean extra charges on your part. When you rent a limo, you should think about the extra costs of services. You have to look for the chauffeur and you have to spend for the gas as well. The rules of rental services vary from one another. All you have to do is research for the exact costs and compare prices between limo rental companies. Gemini Limo Service is company in Maryland, caring all above things and providing the dc limo service in Washington, Maryland, Virginia, New York and Columbia as well. So, for booking your cheapest limo with high quality service came at www.geminilimoservice.com and enjoys the party. Qualities of a Professional Limo Chauffeur! Finding A Hummer Limo in Washington DC for Renting! 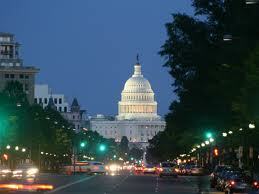 Rent a Limo in District of Columbia: Gemini Limo Service in DC for Any Occasion!